Fitness trackers can tell you how many calories you're burning, but what if you just want to laze on the couch? Your future wristband of choice could make sure you never miss a minute of your favorite TV episodes. 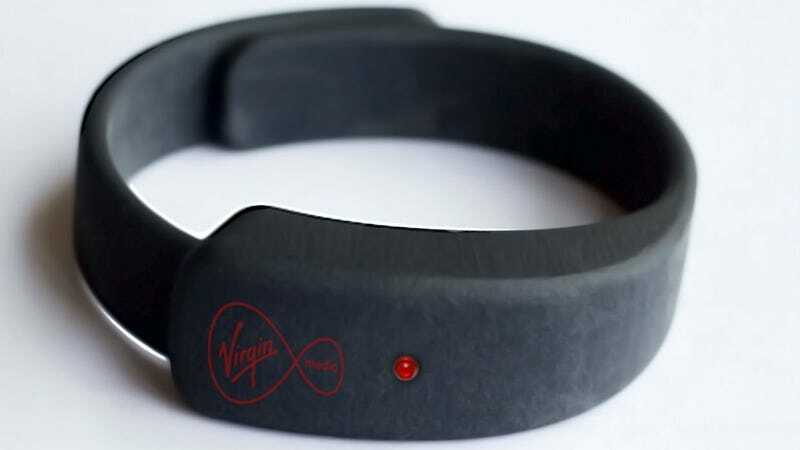 UK telecom company Virgin Media is beginning trials of the KipstR, a 3D-printed wristband with a pulse oximeter that can tell whether you're awake or asleep—then send a signal to your TiVo to automatically pause and start recording your show if it detects you dozing off. It sounds like it will also resume the recorded program as soon as you wake up. If that sounds familiar, it's probably because we've seen Netflix pull a similar trick using a Fitbit as the sensor.